Bristol CT Staffing Agency; our staffing agency has been providing employment services to help staff Bristol CT companies with temporary labor since 1998. In that time TempsNow! has become one of CT's most trusted sources of labor providing a large network of Connecticut companies with quality on time labor every day. As a full-service staffing agency assisting a variety of clients in the Bristol, CT area, TempsNow! takes a "you-first" approach in assessing needs and finding just the right people to fill those needs. TempsNow! offers a soup-to-nuts range of professional staffing services, from housekeeping to laundry services to drivers and snow removal. Choosing a top-notch staffing agency like TempsNow! ensures that the very best people find their way to your Bristol Connecticut company's doorstep. When you hire a company for your Bristol Connecticut staffing services you are putting your business on the line. Having a productive and skilled worker step in to a position of temporary employment is a risky thing and therefore picking the right employment staffing agency is a vital step for your Connecticut company. Since 1998, TempsNow! has served a diverse clientele, all with unique staffing needs. But the goal for each client is always the same—get the project done, get it done on time, and get it done right. Our staffing agency helps facilitate those three objectives by finding just the right person at just the right rate. TempsNow! 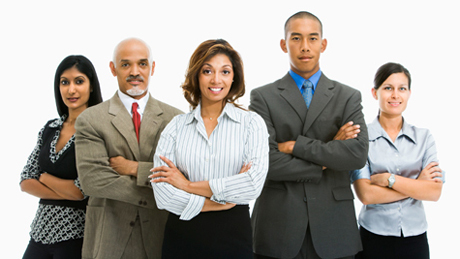 will work tirelessly to ensure that your company gets the precise level of staffing service it needs. Bristol, CT is an exceptional place to conduct business. Thriving companies like ESPN have seen tremendous growth and success in this area. But now it's time for your business to shine, and the best way to do that is to work with the very best recruiter— TempsNow! Our network of professionals undergoes a rigorous screening process that eliminates the possibility of unqualified or unmotivated candidates being placed with clients. An employment arrangement with TempsNow!ensures satisfaction both for you and for the worker(s) you select. How can TempsNow! Staffing Services Help You Today? TempsNow! is just a phone call or an email away. Regardless of your staffing needs, we can simplify and assist in the talent acquisition process. Do you need a landscaper, a plumber, or a food server? We've got just the right people, and we can get them to you on very short notice. We also give you the flexibility to hire qualified workers in a variety of work arrangements, including: Full-time, Part-time, Seasonal and Ad hoc staffing services. So the next time you need dedicated, responsible, productive employees, look no further than TempsNow!, Bristol, CT's premier staffing agency. Whether you need 1 or 100 workers TempsNow! has Bristol CT staffing service that can fit your needs. Let us help you to start filling your temporary staffing needs today. We open at 5:30 AM Mon - Fri. Every worker is pre-qualifed, on-time and ready to work. Your Bristol Connecticut business can depend on TempsNow!. Contact us now and we'll discuss your needs, give you a quote and let you know how we can help make sure your business never misses a beat.